Graham Fitkin found himself in a sea of populism and accessibility for the world première of his new work PK, performed at the Proms on Monday. The title of his work comes from a reference to the Cornish village of Porthcurno—home of the well-known Minack Theatre, and where, coincidentally, i just happened to be a couple of weeks ago. The piece is related to the village’s connections to early telegraphic communications (Marconi’s ground-breaking first transmission took place only a short distance away, at Poldhu, on the neighbouring Lizard peninsula), and Fitkin has therefore turned to Morse code as inspiration for his material. The pulse is brisk, the music tribal more than anything, driven along by continuous but uninteresting percussion. The choir occupies itself with a strange little text devised by Fitkin, largely comprising signals suggestive of breakdowns in communication, although with an opening question, “What hath God wrought?”, sitting rather incongruously, even weirdly, in this context. Despite Fitkin’s attempts at lightness, its 10-minute duration makes for a laboured listen; at no point does the piece make clear where one’s attention should be focused, leaving the listener drifting around in search of anything that might approximate an idea. This isn’t helped by the mindless percussion, who persist with their incessant din for pretty much the entire piece (pausing only for some faux-grandiose episodes), bludgeoning the textures and pock-marking every sonic surface. About halfway through, the strings look like their trying something; later, some trumpets suggest something too, but neither amounts to anything; the choir seems determined to project their own melodic ideas, but if they’re intended to be important, they were simply obliterated by the orchestra. The concert was billed as an “evening of English classics and US pizzazz”, but Fitkin’s PK is neither; it’s not witty, it’s not thought-provoking, it’s not engaging and it’s certainly not interesting. Far, far from all these things, the work is a monstrosity and an insult; a lumbering, amateur sprawl of sound offering the audience nothing but a childish, superficial unmusical shouting match. The piece was so awful that i felt compelled to listen a second time, just to give it the benefit of the doubt; don’t try it, life really is too short. 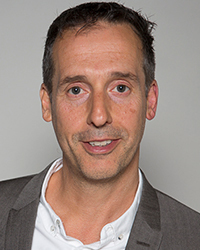 To put your review in context: Graham Fitkin was commissioned to write a showpiece for the BBC Proms Family Orchestra and Chorus, which invites performers of all ages and ability to come to workshops lead by players from the BBC orchestras. Over the course of several workshops they put together a piece that gives everyone a moment to shine, and perform at a prom. This year were two series of workshops, one in London, the other in Cornwall, that didn't meet until two days before the performance. You'll hear from the applause and the presenter that everyone present, audience included, really enjoyed themselves. Bad luck for missing out. That the players and audience enjoyed themselves is hardly the issue; it doesn't allow Fitkin to abnegate his responsibilities in terms of quality. Compositionally – and that, in case it wasn't clear, is my focus here, not the pseudo-merits from a parental perspective of giving “everyone a moment to shine” – what he presented those performers with was a real mess, and i remain appalled that he feels the way to respond to performers of mixed ages and abilities is to present them with something like this. You're quite right; i did miss out – but then, so did a *lot* of other people, chiefly those who commissioned it. 5:4's critical review of PK appears to be well-judged until you link the words to the music and then the point comes through loud and clear (the former admittedly never in any doubt,) that with lots of conflicting messages and parallel efforts to get through, mounting frustration is what you get. The piece was very dense, but in the accoustic inside the Royal Albert Hall the multiple complex rhythms and different instrumental sounds could be readily distinguished and all combined to create waves of excitement that were exhilerating for the listeners. (My computer doesn't do as well.) Bearing in mind the brief for the composer, the piece was rather intelligent in its scope; allowing for the expression of difficulties of communication, (which were real enough for the participants), despite the tenacity of the eleven conductors. I would also take some issue with Nacnudus's "moment to shine" objective. I understood that the commission's inclusive purpose was to allow anybody to participate in making real music, not demonstrate what they could do. Parental sentimentality was obviated by the challenges they themselves faced in taking part on an equal basis. It might have been fairer to the composer had the amateurs been able to produce more dynamic variation. But given: the need to allow everyone to play a reasonable amount of the time, that the whole thing would be done without music, and that dynamics would be hard to handle it was rather brilliant, and seriously enjoyable. I can recommend it for doing chores to, which is a real test of staying power. An interesting point, but if what you're claiming is that the evident lack of coherent ideas in Fitkin's piece is an intentional effect, connected to the 'failure in communication' aspect of his work, that seems a circular, even spurious argument. There's never a sense of an idea having the (potential) weight, so that we hear it as something we'd like to hear more of, but can't due to everything else. It's just a melée, a uniform, homogeneous texture without any sense of things in foreground or background. Density isn't the issue here; for me, it's simply one of interest, & for me, the flat monotony of Fitkin's PK is its downfall. He doesn't *demonstrate* a failure of communication – he just fails to communicate.